I have been slowly reading a book on Skills of Psychodynamic Counseling. Psychodynamic counseling theories and methods stem originally from Freudian Psychoanalysis; however there are some inherent differences. The book is interesting as it focuses on the foundations of the theory. One really great quote about this style of therapy is "Psychodynamic therapy involves the interaction of two minds which influence each other both consciously and unconsciously" (Howard, 2010, p. 15). The book talks about the therapeutic alliance being important to the method, just as it is in other methods such as Person-Centered Therapy. The difference is, that it indicates that there are two relationships occurring simultaneously. The first is the relationship between the counselor and client as adults. The counselor honors the client for coming to them and provides an environment where trust can be encouraged and fostered. The second is the subconscious relationship which involves the counselor as an adult and in a position of authority and the client's subconscious, which can be likened unto a child. In order for the client to have a positive counseling experience and to process childhood subconscious issues, the adult-adult relationship must be well-established. Where narcissism and shame come into play has to do with the relationship. A client who comes to me may have feelings of shame due to the fact that they have not been able to deal with their problems on their own. This can result in a hurt ego, and narcissism itself, is damage to the ego which resulted in shame; then, the ego overcompensates for the shame by inflating itself and becoming grandiose. Therefore, in order to heal, the issues of shame must be addressed at a child-like level which cannot happen unless the first relationship is established. I find these ideas fascinating and wonder how often we try to exert power over others due to our positions of authority and how it affects their own childlike egos. Just some food for thought. Dr. Jamison Law Howard, S. (2010). 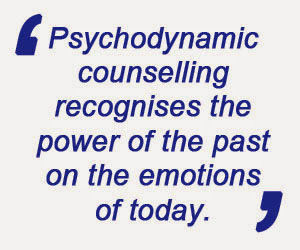 Skills in psychodynamic counselling & psychotherapy. California: Sage Publications, Inc.